Day 2: Gift of Literacy - Co-Hosted by Terry Doherty (Scrub-a-Dub-Tub), Dawn Little (Literacy Toolbox) and Chris Singer (Book Dads). Visit each of their blogs to find a post highlighting today's theme along with links to additional posts by other bloggers sharing their stories about the "gift of literacy". You could also go to the Share a Story, Shape a Future "Day 2" post to read summaries of all the contributions. I really enjoyed reading through all the posts today. I found a few helpful tips including setting up a "Wish List" on Amazon.com for family and friends to use as a reference for purchasing books as gifts for my children (Courtesy of Jen Robinson's Book Page). I often feel that people are afraid to buy our family books because we go to the library so often and hit the used book sales pretty hard. This is going to solve that problem! Thanks Jen! Also, Melissa Taylor @ Imagination Soup, inspired me to get a library card for my three year old son today when we were at the library. Our library's policy is that cards are not available to children under 5 years of age but they made an exception for him. He was super excited! He held the card while we read books before bedtime. Thanks Melissa! If you were to create a package of 5 books to gift a child what books would you include in your gift? Include one book for each year (infant to 5). 1. 9 months Old (my son's current age) - I can get my son to sit through about one book before he cries and wants to get down. 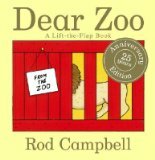 However, there is one book he absolutely loves that is Dear Zoo by Rod Campbell. This board book is about a young child's request of the zoo to send the perfect pet. With each turn of the page a new package arrives with an animal inside. There are flaps that my son loves to repeatedly open. He loves to hear me make animal noises when the animal is revealed. Does anyone know what a giraffe sounds like? It sounds pretty weird to say "(flap opens) Giraffe. (flap opens) Giraffe. (flap opens) Giraffe. (flap opens) Giraffe. (flap opens) Giraffe. Ok - next page." Unfortunately, there is something not quite right about each animal after they arrive. The camel is too grumpy and the frog is too jumpy. Eventually, the zoo does find the perfect pet. 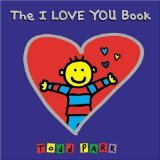 I think any child under the age of one would love this book. 3. 2 year old - Both of my children loved I Stink by Kate and Jim McMullan at the age of two. I think this was partly because they loved watching the garbage truck come get our trash each week. Plus, they were at a stage when they were learning to sing their ABCs and in the middle of the book the garbage truck shares his special recipe of yucky things for each letter of the alphabet. The audio book edition is spectacular and really gave me a sense of how to read the book. So, if it was available I would include it with my gift too. 5. 4 year old - This past Christmas I have never been so excited to give a present in my life. My niece is 4 years old and is a bundle of positive energy. In addition to that, she loves her Dad very much! The perfect book for her (and for any 4 year old, even boys) is Pink Me Up by Charise Mericle Harper. In this story, mom and daughter bunny are invited to go to a special pink-nic. But, mom gets sick. Dad volunteers to go in her place, however, there is a problem. Dads don't wear pink! 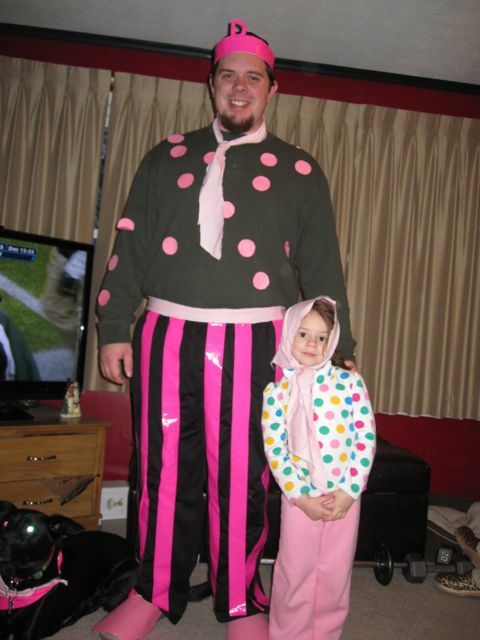 Well, Dad is a good sport and let's his daughter Pink Him up. I had the idea to give my niece the book along with all the materials to Pink Up Her Daddy (Charise Harper has a video to assist those pinking up a daddy). 6. 5 year old - This past Christmas I was just as excited to give my nephew two drawing books by Ed Emberley. I chose to give him Make a World and Ed Emberley's Drawing Book of Animals. Ed Emberley's books are easy to follow, step-by-step visuals for drawing lots of cool things. His philosophy is if you can draw shapes then you can draw just about anything. I just heard that my nephew is still using the books even 3 months after Christmas! Wow - a christmas present that isn't collecting dust! My hope was that these books would be something that he would want to always have within arms reach. Great for rainy days, long car trips, and visits to the doctor's office too. What an awesome uncle! It is so fun to see how the posts resonate with folks ... and that they have such meaning. I am so happy that I have been able to participate in the event. It stands for everything I believe in! The pinking up Dad photo is just fabulous. How do we not have the book I Stink ? Thank you for sharing these great books! I just had a chance to buy Pink Me Up from a Scholastic Book Club, but I didn't. Aargh! Wish I had read this post sooner. The book looks so so adorable. I have two girls, and I can totally see them dressing their Papa up in pink. I'm excited to go find this book now. Thanks for sharing! Eric, Jim and I are so happy to have I STINK! as your pick for two-year-olds. There's just something about stinky garbage -- no matter how old we are!